the current account surplus is sustainable and will be maintained. Still, the accumulated reserves and cautious economic policies will serve as a buffer mitigating external risks. 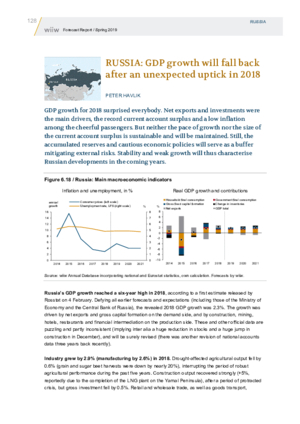 Stability and weak growth will thus characterise Russian developments in the coming years.